We mentioned the adjusting of land shapes and slopes-with use of fencing, building brick walls and adding or subtracting earth in the post 15 ways to energise your home. Here we shall discuss it in more detail keeping in mind the 12 Vasati Laws . 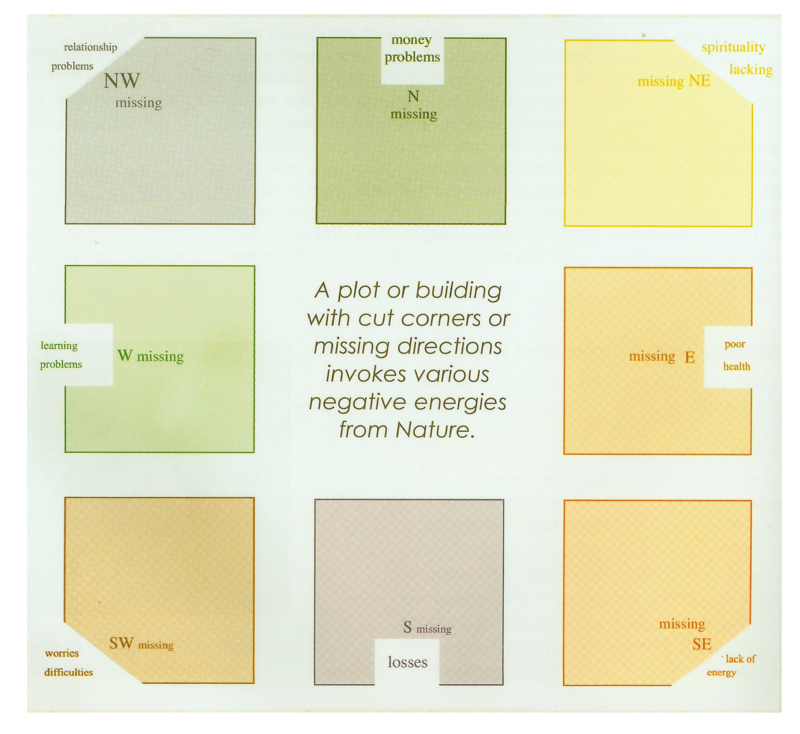 Rectangular plots up to 1:2 are also auspicious, however the more a plots proportions exceed 1:2 ratio the less conducive the plot becomes to contain and balance energy flow and communications. The best rectangle is a plot with a longer North to South dimension than the East to West. 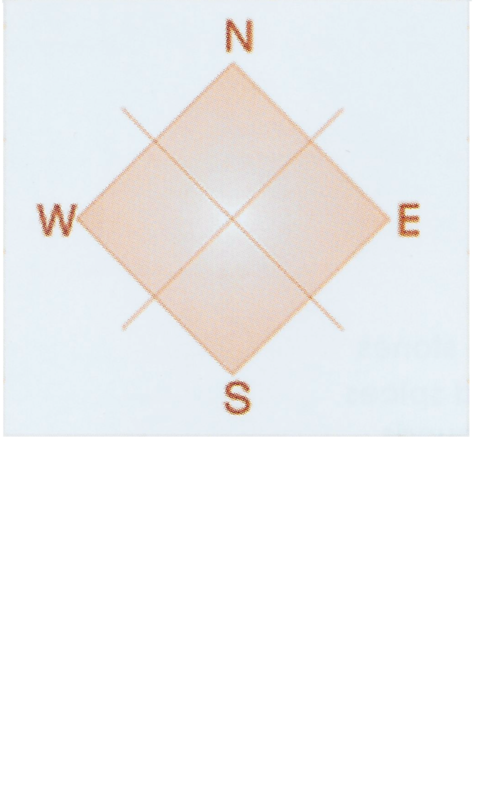 The only auspicious irregular shape is a plot that is extended towards the North, Northeast and East. Such a plot attracts wealth and prosperity. Expansions or extensions in all other directions are inauspicious according to the twelve Vasati laws. But even inauspicious shaped plots can be corrected simply by fencing the plot to the required shape. L shaped plots and houses do not maintain balance in terms of notion of harmonics. This is explained in part two of the First-geometrical law of Vasati. They can be corrected as far as possible by subdividing an auspicious shape, as to contain balanced energies. 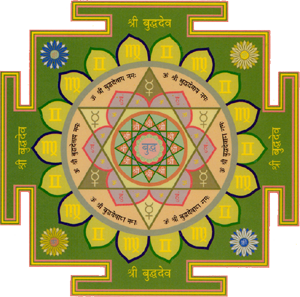 If your land or house are not ideally shaped according to Vastu, and you can’t change anything on a physical level, you can effectively counter the negative energies by employing some subtle methods such as Yantras, mantras and Pyramids. Northwest, may experience dissatisfaction in exchanges within relationships. Northeast, may not feel content and happy nor have a sense of direction for the future. Southeast, low energy levels and lacking love and joy. Southwest, various misfortunes and not feeling stable. West, learning problems and inability to complete projects. 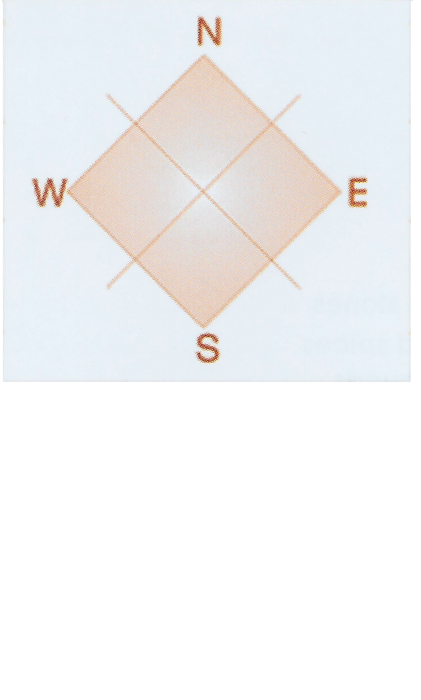 Please see 6 ways Vastu determines your health for how missing segments can affect your health. The plot should be orientated so that the four main compass points are on its four sides : A plot or house maybe an ideal shape but if its corners point towards the four main directions (N,E,S,W), the inhabitants will have to work harder in order to attain success in their endeavours. The consequence of this defect is that success is so often close but slips away at the last moment. 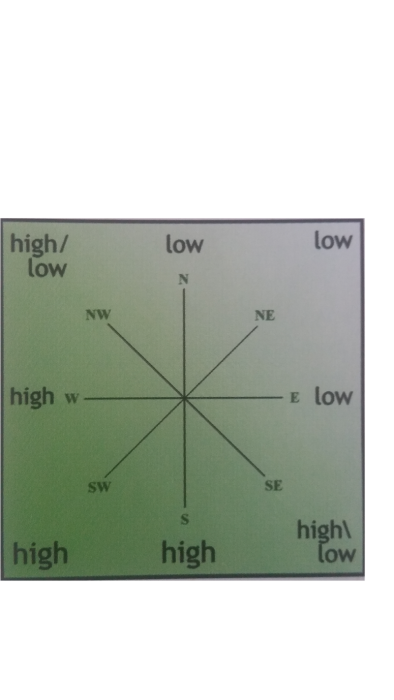 If your plot of land is in alignment with the four main compass points then you will be supported and nourished by the balanced energy field created by the positive orientation.